Keihan Railway Kadomashi Station | railway | OSAKA WINTON Co.,Ltd. !One of the secrets is trapped in microcapsules part of the repellent component! 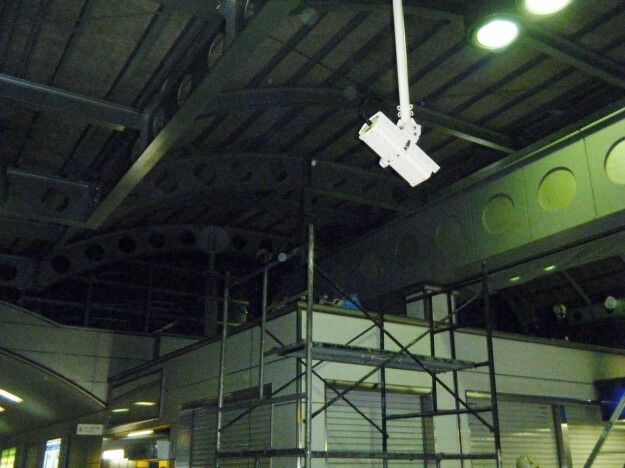 Birds do not worry of falling off due to vibration loosening and strong winds in the station building home high-speed trains such as the wire type and pin holder passes. Moreover, there is no pollution of the second because it is not a material that was sticky, such as in the prior art. 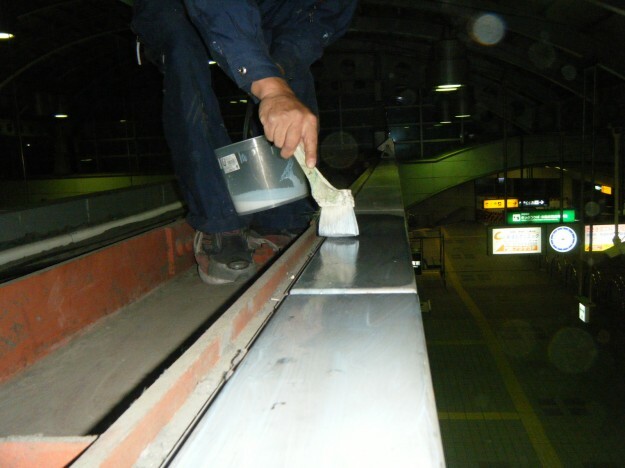 It does not impair the aesthetics because it is colorless and transparent if it become dry(such as attached to the adhesion of dust here and there, the repellents with the feet). Long-term effect will persist. Repellent component is confined to the micro-beads; it has become a mechanism component that exits cracking little by little it are.